ON MONDAY, THE US Centers for Disease Control and Prevention came out with its latest measles numbers and, let’s be honest, they weren’t great. At least 465 cases across 19 states have been reported so far this year, including 78 in the last week alone. Nationwide, that means more people have caught the notoriously contagious disease in the past three and a half months than all of last year. According to the CDC, it’s the “second greatest number of cases reported in the US since measles was eliminated in 2000.” As outbreaks continue to spike around the country, local governments are increasingly feeling pressure to do something about them. 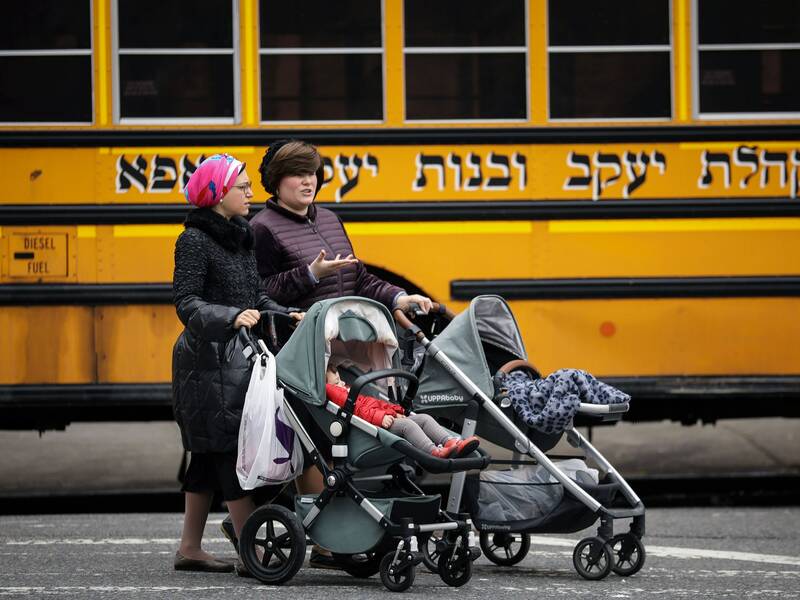 On Tuesday, New York City mayor Bill de Blasio declared a public health emergency in Brooklyn and issued mandatory measles vaccine requirements for people living in or near Williamsburg, the neighborhood where an outbreak has infected 285 people since last fall. Affected individuals were told they have 48 hours to get immunized; those who don’t comply risk receiving tickets or possibly facing fines of $1,000. It’s the second time this year that a local government agency has flexed its authority to impose strict measures meant to curb a measles outbreak. In March, New York’s Rockland County banned unvaccinated children from attending schools, visiting shopping malls, and otherwise occupying enclosed public spaces in a last-ditch effort to stem an outbreak that has tallied 168 confirmed cases since October. These kind of controversial actions can backfire though. In Rockland County’s case, a judge decided Friday to overturn the ban because it exceeded a five-day statutory limit on declarations of emergency. Many law-school students spent class time Tuesday debating whether New York City’s edict will soon face a legal challenge of its own. But the fact is, in both cases, health officials arrived at these options only after a bunch of other strategies failed. Once an outbreak gets going, there’s only so much that can be done to contain it. Policies that would prevent such outbreaks from occurring in the first place are the purview of state legislators. And in most places they’ve made it easier, rather than more difficult, to opt out of vaccinations. So while such emergency mandates aren’t ideal, public health policy experts say they’re an inevitable outcome of laws that have permitted vaccination exemptions to flourish in recent years. “As a society we’ve said we’ll allow a little bit of flexibility in our laws in order to give people a wider berth to exercise their personal beliefs. And for decades that vaccine policy has been largely effective,” says Ross D. Silverman, a professor of public health law at Indiana University. Unlike in Europe, where 11 countries have had to put some sort of compulsory vaccination policies in place, Americans have been mostly willing public health participants. National vaccination rates for MMR, the measles vaccine, currently sit above 91 percent, close to the 94 percent cutoff that scientists believe is necessary to acquire herd immunity. At least in some places, the threat of bigger outbreaks appears to be tipping the scales toward more restrictive policies. At least eight states, including some that experienced measles spikes this year, are now taking a harder look at their lax personal-exemption laws. When you add up the costs of an outbreak, it’s not hard to see why. A single five-month outbreak in Minnesota in 2017 that infected 79 people ran the state a tab of $2.3 million. Stricter laws should help boost vaccine rates, but it’s not always enough. In 2015, California ditched its personal-belief exemptions, making it only the third state—along with West Virginia and Mississippi—to have such rigid requirements. As a result, fewer students skipped shots, and by 2018 immunization rates statewide were once again above the 94 percent threshold. But researchers discovered that over the same time period, medical exemptions grew. It turned out that many parents were getting around the new law by convincing doctors to grant them medical exemptions. That’s why California is now considering a bill that would crack down on the medical exempting process, to ensure they’re reserved only for people who really need them—kids who’ve undergone chemotherapy or organ transplants or who suffer from immune disorders. Dorit Reiss, a professor at UC Hastings College of Law in San Francisco and a member of pro-vaccine advocacy group Vaccinate California,1 hopes that these kinds of reforms will prevent California from having to issue the kind of emergency measures currently in effect in New York City. “That was a big step. As far as I know no one’s ever used their authority this way for measles,” she says. Such actions taken to ensure public safety may be rare, but they have a long history going back to the time of smallpox. In the 1905 case of Jacobson v. Massachusetts, the US Supreme Court gave authority to states and cities to enact compulsory vaccination policies in the event of an active outbreak that endangered public health. It’s been used over the years as precedent to swat away lawsuits from anti-vaxxers who’ve been ordered to keep their kids home from school during outbreaks of other vaccine-preventable diseases, including influenza and chickenpox. But it would be nice if no one ever had to use them in the first place. “We know that outbreaks are more common the easier it is to get exemptions, and these drastic measures are clearly a response to that trend,” Reiss says. 1Disclosure: Vaccinate California was cofounded by WIRED Ideas contributor Renee DiResta.